We make it easy to convert cryptocurrencies to fiat currency and vice versa inside your highly secure wallet that is connected to the Bitwala account. No third party can access your coins. Decide how you want to backup your password and keys to protect your funds from unauthorized access. Enjoy the highest industry standards with two-factor authentication and multi-signature keys with your easy to use and fully-functional wallet. Can I create more than one wallet? No, but we do plan to support multiple wallets soon. Does the €100,000 protection scheme cover my crypto assets? Cryptocurrencies do not fall under this scheme, only EUR deposit funds. 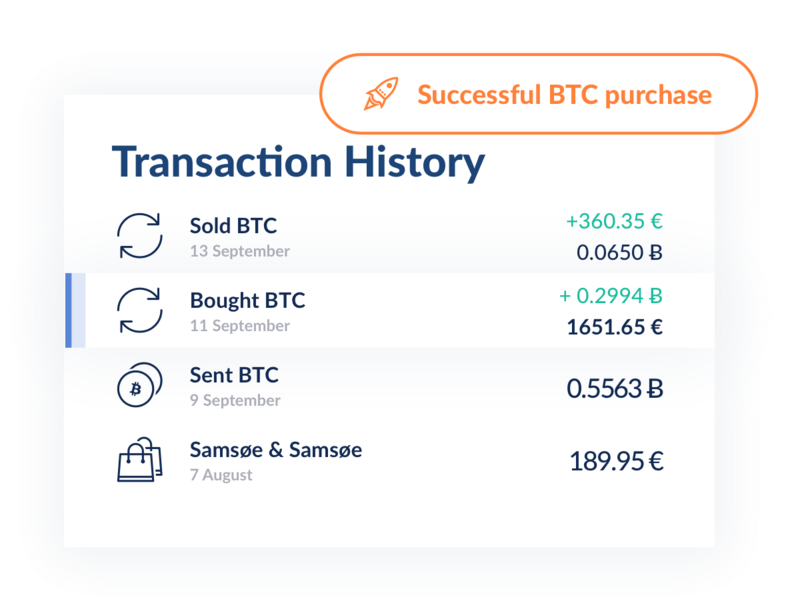 How do I export my wallet transaction history? You can download your transaction history from both your wallet and banking transactions by going to the Control Centre and navigating to Statements.